The Thread Dump screen lets you inspect the currently active threads on your server. 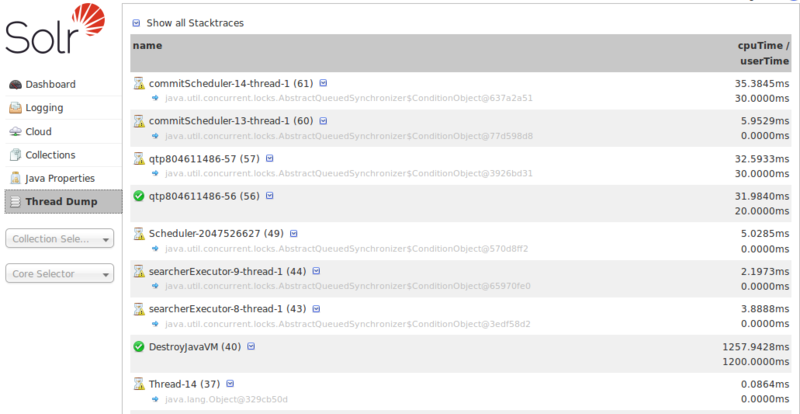 Each thread is listed and access to the stacktraces is available where applicable. Icons to the left indicate the state of the thread: for example, threads with a green check-mark in a green circle are in a "RUNNABLE" state. On the right of the thread name, a down-arrow means you can expand to see the stacktrace for that thread. A thread that has not yet started. A thread executing in the Java virtual machine. A thread that is waiting indefinitely for another thread to perform a particular action. A thread that is waiting for another thread to perform an action for up to a specified waiting time. A thread that has exited. 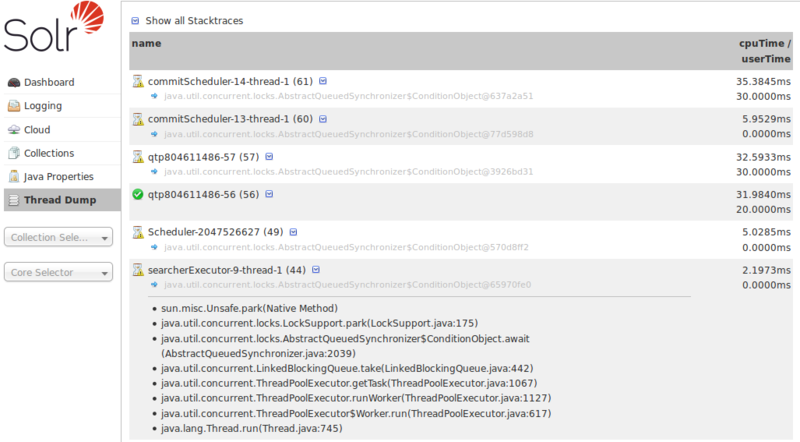 You can also check the Show all Stacktraces button to automatically enable expansion for all threads.